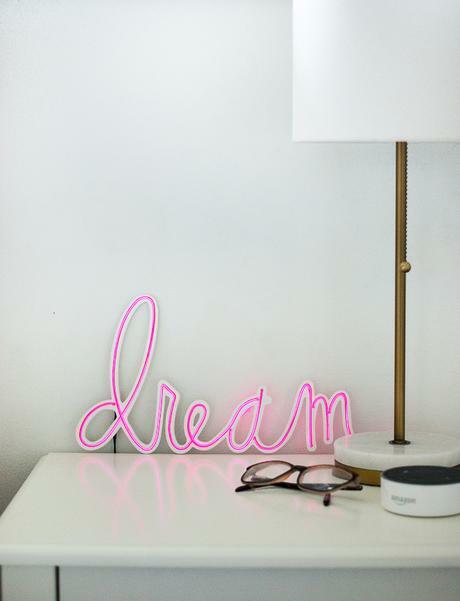 Heidi's Neon Glow...perfect for Dorm Room Decor! Back-to-school season is in full swing! I just love this time of year...fresh starts & new pencils with autumn right around the corner. And new beginnings are the perfect time for a change in decor! Especially for that college student looking to create a more unique and personalized dorm room. ...but that doesn't mean you can't send that special co-ed a care package that includes some fun new decor! I mean, who doesn't love getting a box full of their favorite stuff? Pop in a Heidi Swapp Neon Word & some Neon Wire (don't forget the batteries!) and watch your kid's room go from ho-hum to awe-some in just a few minutes! Simply have your student add the Neon Wire to the word using the diagram on the back of the word's packaging, pop the batteries into the wire's pack & done! 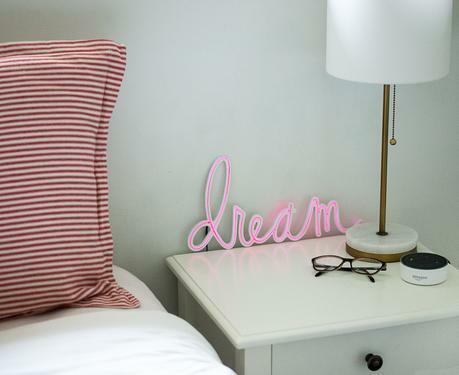 Neon Words are so on-trend right now and are a fantastic addition to any bed, wall, nightstand, door, cork board, sorority house, anywhere! 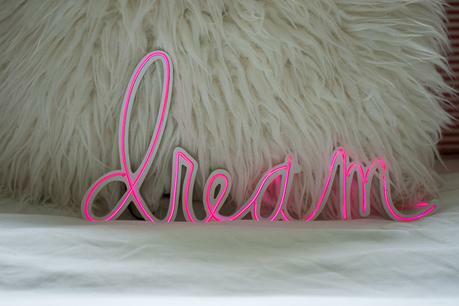 And Heidi Swapp's Neon Words can be customized with a variety of wire colors! 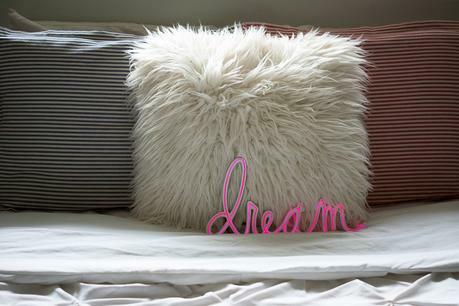 You can even paint the words to match school colors or decor design...they're the perfect little DIY project. 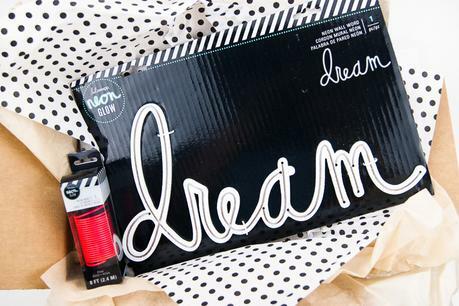 Find Heidi's Neon Words/Neon Wire at a Jo-Ann Fabric and Craft Store near you or at joann.com .